METHODS: The CLEK Study is an 8-year, multi-center, natural history study of 1209 patients with keratoconus who were examined annually for 8 years. Its goals are to prospectively characterize changes in vision, corneal curvature, corneal status, and vision-specific quality of life. RESULTS: CLEK Study subjects had a mean age at baseline of 39.3+/-10.9 years. At study entry, 65% of the patients wore rigid contact lenses, and 14% reported a family history of the disease. Subjects exhibited a 7-year decrease in high- (2.03 letters) and low- (4.06 letters) contrast, best-corrected visual acuity, with 19% demonstrating decreases of 10 or more letters in high-contrast, best-corrected acuity and 31% of subjects demonstrating decreases of 10 or more letters in low-contrast, best-corrected acuity in at least one eye. Subjects exhibited an average 8-year increase in corneal curvature of 1.60D in the flat corneal meridian, with 24% demonstrating increases of 3.00D or more. 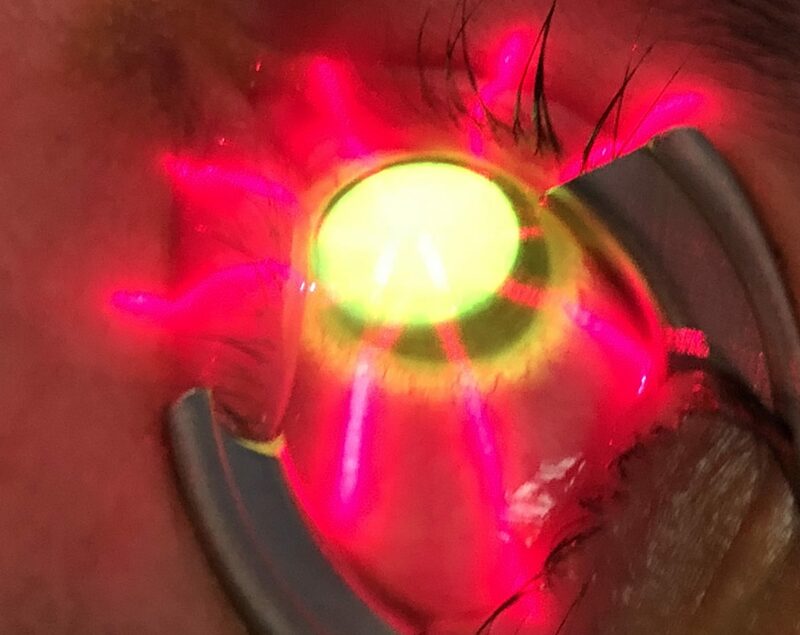 The 8-year incidence of corneal scarring was 20%, with younger age, corneal staining, steeper baseline corneal curvature, contact lens wear, and poorer low-contrast visual acuity predictive of corneal scarring. Data from the National Eye Institute Visual Function Questionnaire suggest that the effect of keratoconus on vision-specific quality of life is disproportionate to its low prevalence and clinical severity.